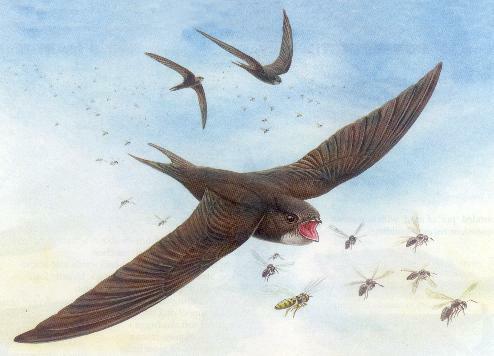 After coming out of the Hall after watching a fabulous presentation on Bats given by Gail Armstrong, I then counted 15 Swifts in close proximity high over the Hall, Post Office building, so I guess we may have quite a lot back now! 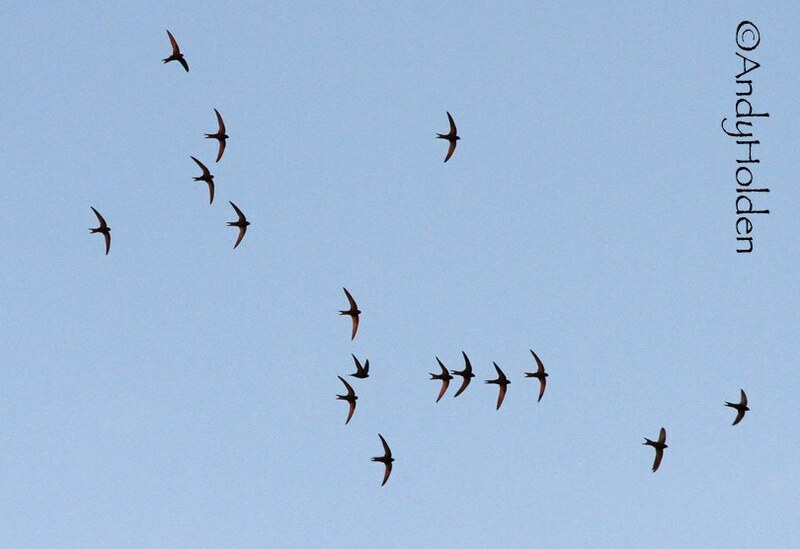 hopefully tomorrows Swift night will give us a better indication. Sticking with the Manor House we were very concerned at one point when we had already seen a Swift enter one of the regular gable end sites (the same site confirmed only last week), and this was quickly followed by yet another Swift into the same nest hole, but the 2nd Swift gave the appearance that it was stuck at the entrance and seemed to be doing contortions with a single wing which could be clearly seen sticking out and sort of twisting around as though it was struggling for movability. What made it even worse was we then saw yet another Swift trying to get in the same entrance, but this was seen to abort on several occasions simply because the hole was blocked off by the earlier bird. After observing for almost one hour at this site we thankfully did see the bird eventually come out followed by the other one, so all was well after the event! 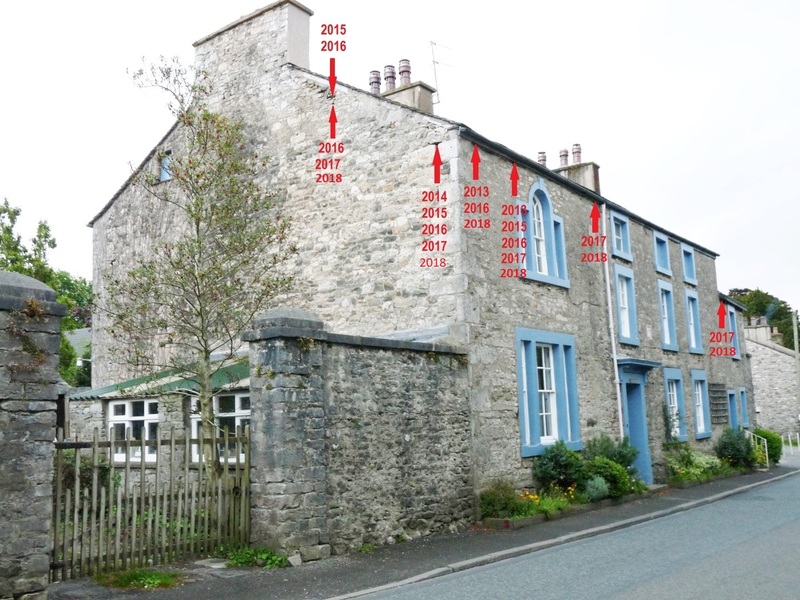 Through all this commotion it did give us all chance to do a more complete study on the situation at the Manor House and we found that we witnessed that six sites on the property were being used. We only have seven booked off so we are doing really well on the Manor, almost to capacity. Tonights observers included: Mary Bullimore, Mrs. Judith Ellis, Mr. Edward Ellis, Hugh and Sue Miles, Bryan Yorke.